Concurrent Technologies Corporation (CTC) offers cybersecurity professional services and advanced information technology solutions to both public and private organizations. Technical innovation – CTC invests heavily in identifying and building the future of technology. CTC was the first FedRAMP accredited cloud provider and continues to lead the way for government and commercial clients to migrating and securing cloud operations. Commercial industry and government expertise – As a nonprofit sitting at the intersection of academia, government, and private industry, CTC can uniquely provide the best products and research to meet your organization’s needs. Professional excellence – As a research and development organization, CTC focuses on building and providing best-of-breed services to put your organization at the forefront of technology. The CTC team offers strategic level (CISO, Boardroom) planning assistance, cyber training capabilities, assessment services, and incident response planning capabilities. CTC has skilled personnel throughout the country to provide cyber support services that allow our clients to exceed their cybersecurity goals. 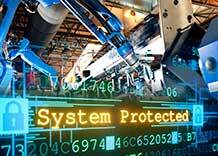 CTC offers services to manage cyber risks and improve the confidentiality, integrity, and availability of digital manufacturing processes, products, and information. 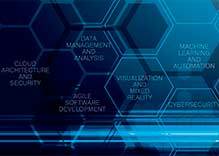 Services include technical consulting to address identified cyber security gaps, network vulnerability assessments, incident response planning and consulting, and cyber awareness training. 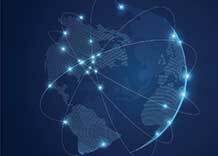 CTC has invested significant research and development into the emerging threats posed through the cyber security supply chain. 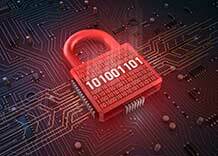 Multiple recent high-profile breaches have demonstrated the importance of understanding the risk that third-party suppliers pose to the organization. CTC has developed risk management and assessment methods to enable clients to dynamically visualize the cyber security posture of third-party organizations in their supply chain. As organizations continue the mass migration of applications and data to the cloud, CTC will help ensure that confidentiality, integrity, and availability remain constant. 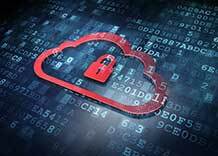 We can also assist with the DoD Cloud Computing Security Requirements Guide (CC SRG) and Federal Risk and Authorization Management Program (FedRAMP) authorization processes. We have the real-world experience, skills, and record of performance to recommend the best approach in support of FedRAMP accreditation. Is your organization struggling with identifying and stopping malicious inbound attachments? CTC has developed and supported initiatives to transfer sensitive information across security domains for more than a decade. The Advanced Guard for Information Security (AGIS) (available for implementation through our affiliate Enterprise Ventures Corporation) identifies and blocks malicious content in attachments, performing white-list checking that protects your organization from unknown threats. The need has never been greater to strengthen and document internal controls over a company’s IT infrastructure. Sensitive government data can be vulnerable to breaches and cybercrime, and the government has strict requirements for safeguarding covered defense information and cyber incident reporting. CTC’s security team members have significant experience providing technically deep, rigorous compliance assessments because of our experience building the underlying security technologies to meet compliance requirements. 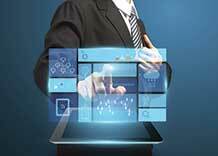 CTC’s information technology (IT) solutions are at work in high-level, high-priority areas of the Department of Defense and U.S. Government agencies. We’ve proven our ability to serve as a prime and subcontractor to both small and large companies. We’re not the biggest or smallest government contractor; we are the appropriate size to give you the personal, direct attention you deserve and solutions that really work.